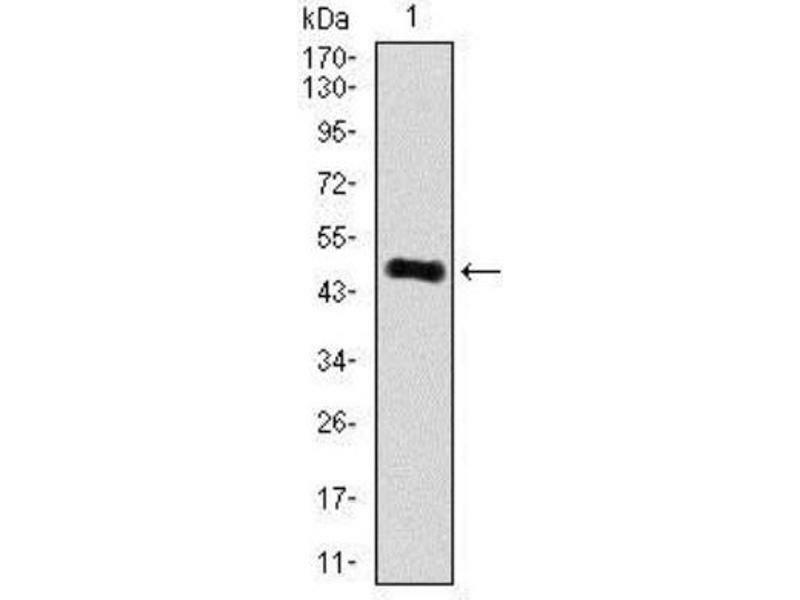 Western Blot: RhoGDI Antibody (2G3) [NBP2-37472] - Western blot analysis using ARHGDIA mouse mAb against Jurkat (1), HeLa (2), NIH3T3 (3), C6 (4), K562 (5), and COS7 (6) cell lysate. 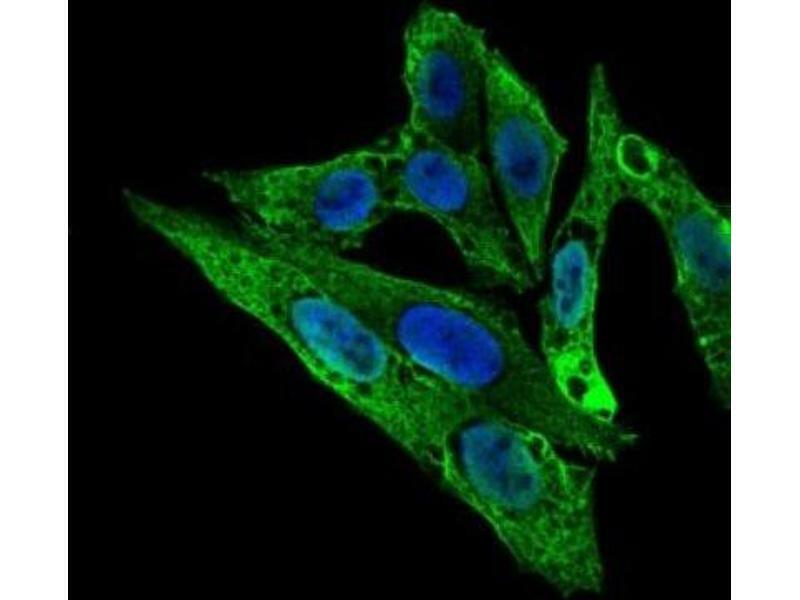 Immunocytochemistry/Immunofluorescence: RhoGDI Antibody (2G3) [NBP2-37472] - Immunofluorescence analysis of HepG2 cells using ARHGDIA mouse mAb (green). 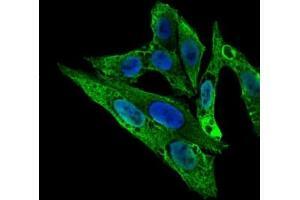 Blue: DRAQ5 fluorescent DNA dye. 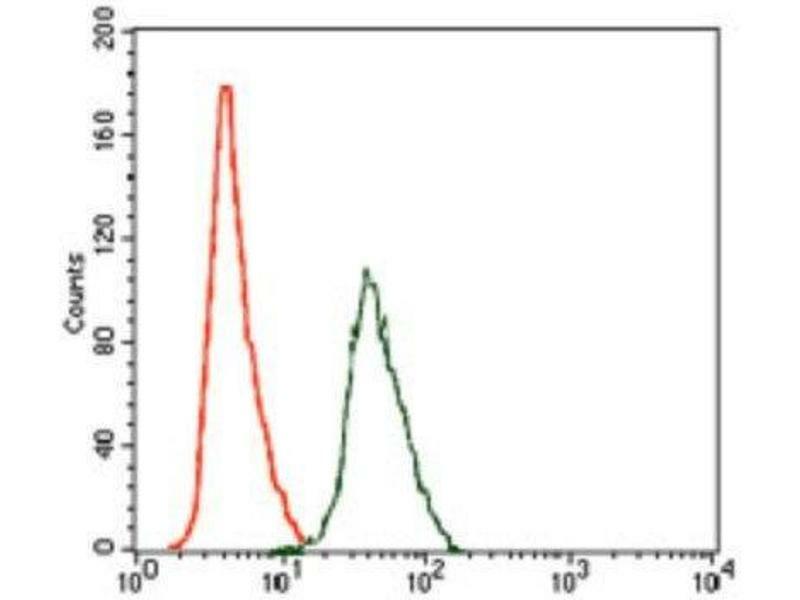 Flow Cytometry: RhoGDI Antibody (2G3) [NBP2-37472] - Flow cytometric analysis of HeLa cells using ARHGDIA mouse mAb (green) and negative control (red). 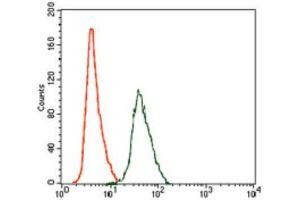 Immunogène Purified recombinant fragment of human ARHGDIA (AA: FULL(1-204)) expressed in E. Coli. 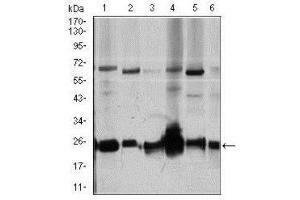 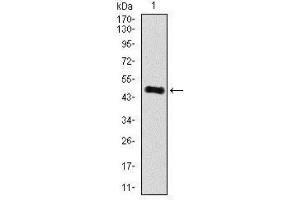 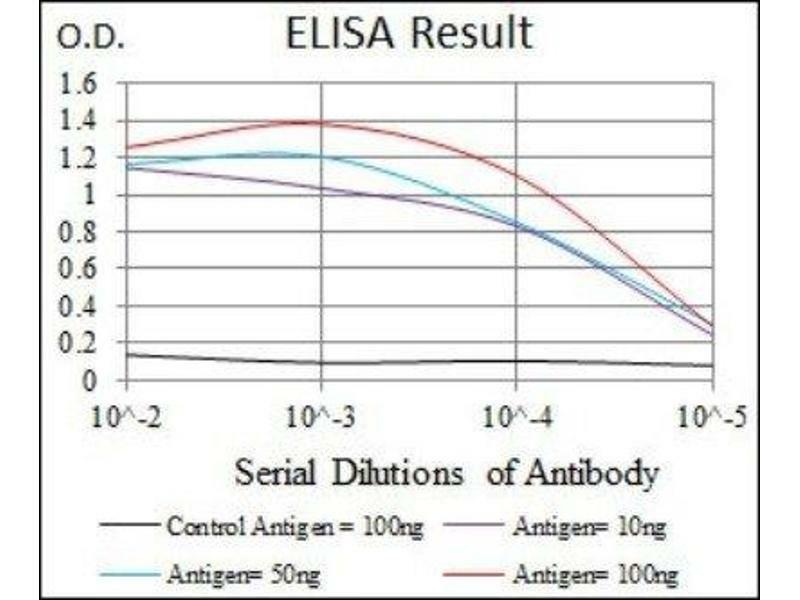 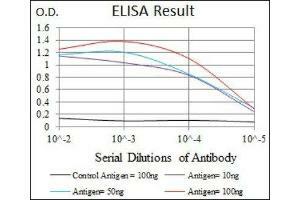 Indications d'application Western Blot 1:500 - 1:2000, Flow Cytometry 1:200 - 1:400, ELISA 1:10000, Immunocytochemistry/Immunofluorescence 1:200 - 1:1000, CyTOF-readyThe observed molecular weight of the protein may vary from the listed predicted molecular weight due to post translational modifications, post translation cleavages, relative charges, and other experimental factors.